Land company Richborough Estates has completed the sale of a 6.17 acre residential development site in the Leicestershire village of Gilmorton to developer Barwood Homes. The site, which is situated on the eastern edge of the village, was acquired by Richborough Estates from a private landowner, via Trevor Wells of chartered surveyor and property consultants Wells McFarlane. 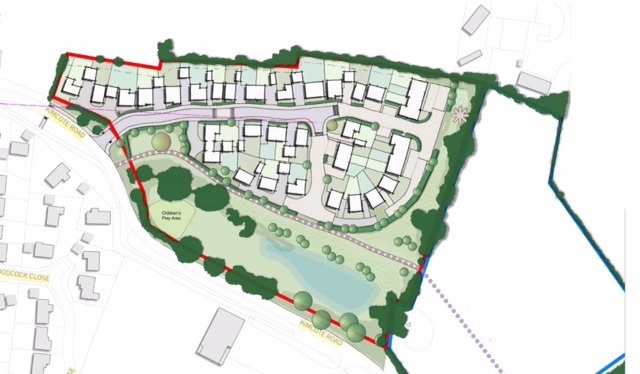 Prior to the sale, Richborough Estates secured outline planning consent for the delivery of 43 one, two, three, four and five bedroom homes. In total, 14 of the properties will be designated as affordable. Alongside the homes, around two acres of land adjoining the southern edge of the site will be provided as public open space and a children’s play area. Harry Jackson of Richborough Estates, said: “This site represents a lovely location on the edge of Gilmorton which is an established village with plenty of local amenities, is close to Lutterworth and is in easy commuting distance of Leicester and Rugby. Andy Morehen, land director at Barwood Homes, said: “Richborough Estates has provided an excellent outline plan for this new development at Gilmorton, which will create an outstanding addition to the village and continue to support local amenities for years to come.